There is no charge to the Peer Promise First Place award winner and the Peer Promise Certificate of Merit winners. Only one free ticket per entry allowed if there are multiple award recipients. Tickets for High School students who are not award recipients (crew, friends, etc.) are $40 each. Tickets for teachers/advisors or parents and relatives are $70 each (limit one per Award/Certificate of Merit winners). All others are full price. Full table at Peer Awards (9 seats @ $110) plus signage. To pay by check, email info@tivadc.org. Full table at Peer Awards (9 seats @ $85) plus signage. To pay by check, email info@tivadc.org. TIVA-DC will once again serve as the host organization of the 2016 TIVA Peer Awards, the most comprehensive film, video and Internet competition for professionals and media students in the mid-Atlantic region. The 2016 TIVA PEER Awards will take place within the elegant ballroom and reception lobby at the prestigious Embassy of France on Saturday November 12, 2016. Last year’s 2015 Peer Awards included many outstanding moments: awards of merit to a stellar pool of entrants; the first ever DC Council Recognition Resolution; and the participation of all three DMV Film Offices. This year’s awards gala promises to deliver an unequaled evening of achievement, sophistication and fun! This highly anticipated annual awards event recognizes excellence in achievement within the Television, Video and Internet production community and this year’s awards ceremony promises to raise the bar across the board for what is destined to become a memorable evening of celebration, networking, recognition and distinction. Refining and streamlining some categories and offering the addition of brand new categories that reflect the latest cutting edge horizons of current production activity promises excitement and distinction within the industry and across the entire DMV community. New categories for submission include: NEW MEDIA comprised of Web Series and Interactive Media including for Museums, Exhibits, and Special Applications. 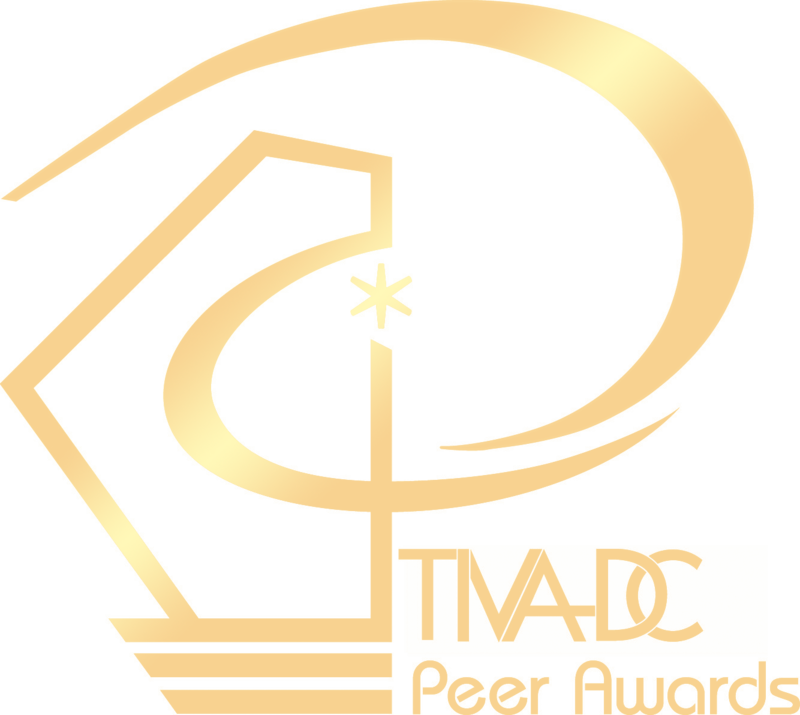 Be a part of the 2016 TIVA Peer Awards! Submit your work, attend the gala and become a part of a legacy of achievement!